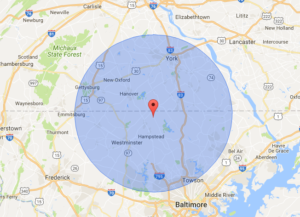 Bealing Roofing and Exteriors, Inc. is a reputable roofing repair company that services the Hanover, PA, and surrounding areas. We provide a stress-free experience for our customers and offer quality work. Your roof provides protection for your home and the items inside making it essential that your roof is in top notch shape. Bealing Roofing is an Owens Corning preferred contractor which means we get our materials from the best, and they think we are the best. We have to go through a lot of steps to be approved as a preferred contractor, including having excellent customer service. 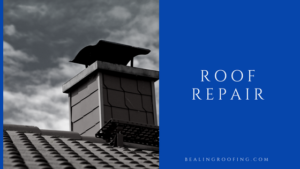 You can rest assured that for your roofing repair needs, Bealing Roofing is the way to go. This is our motto. We are always going to be honest when it comes to your roofing repair. If we determine that a repair is enough, that is what we will do. If we believe that you need a full roof replacement, we will let you know and be open to discussing why. We are always willing to help our customers and go above and beyond. We will even let you know if we think your home needs other repairs or replacements that you may not have thought of. When you contact us for a roof repair, we will come out to your home and thoroughly inspect your roof. We will then determine if a repair is needed and give you an estimate. If you have any questions or concerns, we will be there to discuss them with you. We want you to feel confident and have peace of mind before we begin our job. Give Bealing Roofing & Exteriors, Inc. a call today to discuss your roofing repair needs. We take many forms of payment including credit cards, checks, and financing.